← Focalpoint X Colony Seats! 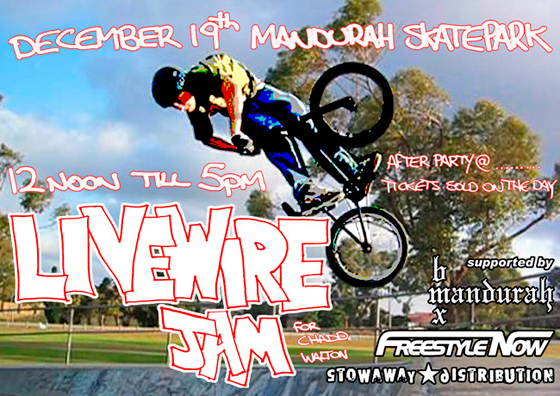 “The Livewire jam is put on in memory of our friend Chadd Walton who tragically passed away in June 2005 from a major car accident.Chadd rode with the Mandurah bmx crew and his local park was the Mandurah skatepark. Chadd was only 17 at the time and had made his mark on the riding scene here in Perth in a large way.